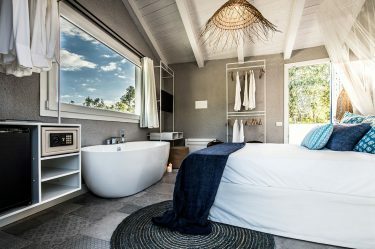 Il Boutique Hotel Capo Blu si trova nella meravigliosa e suggestiva località Santa Margherita di Pula, all’interno dell’elegante comprensorio residenziale Capo Blu, immerso in una conca di macchia mediterranea ai piedi delle colline che si affacciano sul mare, a soli 700 metri dalla spiaggia di Cala Marina. La struttura si trova a soli 5 km dal noto e suggestivo sito turistico di Chia, caratterizzato dalla presenza di un mare cristallino di colore verde smeraldo, menzionato sulla Guida Blu di Legambiente e Touring Club come il mare più bello d’Italia. 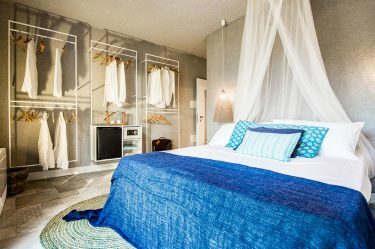 The Capo Blu Boutique Hotel is situated inside a residential area that, back in the 1980’s and 1990’s, was a popular hangout for exciting events in the spirit of Sardinian night life; now it is a newhigh-profile facility designed by Engineer Mario Dal Molin with the goal of making it the perfect place for people who love to travel freely, with no restrictions and explore the southern part of Sardinia on their own, without giving up any of the comforts of a high-class Hotel stay and taking advantage of the professional help of an expert Hotel Manager who can provide Guests with a customised service. 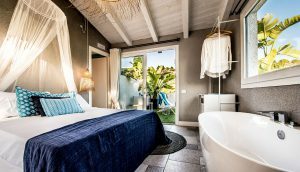 The Capo Blu Boutique Hotel in Santa Margherita has 12 Superior double and triple rooms and 2 Deluxe rooms featuring a private panoramic terrace..
All Superior rooms look out onto a furnished inside patio in the common area of the Lounge Pool Bar or onto a more secluded Terrace. 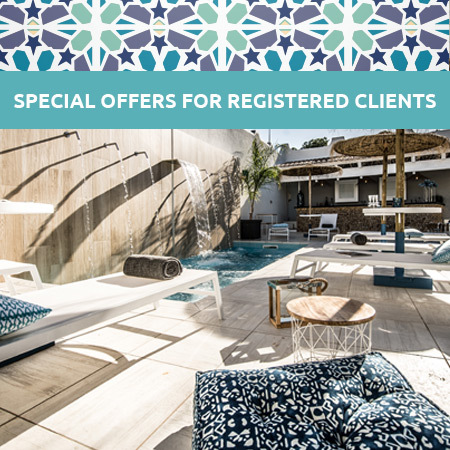 Every space was designed to make Guests fully enjoy the sophisticated holiday atmosphere and take advantage of a bookable Massage service available upon request. Personalised recommendations for places to visit and activities to do with the possibility of car rental service at the Hotel. 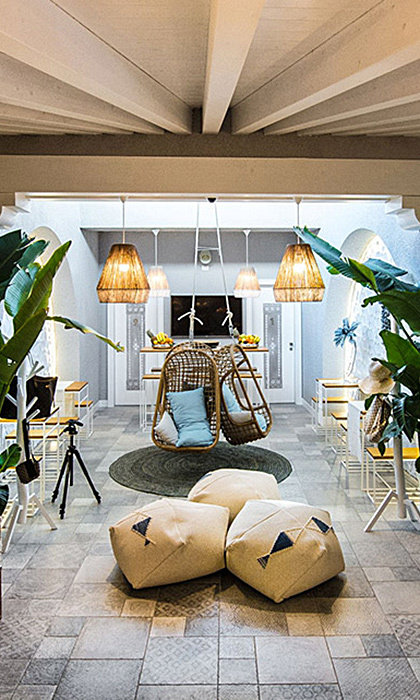 A private and exclusive area where you can spend free time after going on an excursion. 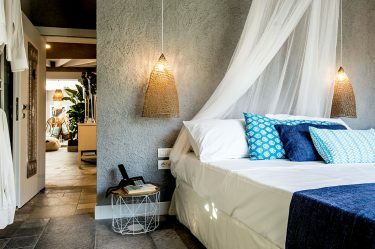 The Hotel organises boat, fishing and scuba diving trips. Some of the suggested beaches nearby, selected and affiliated with the Hotel.